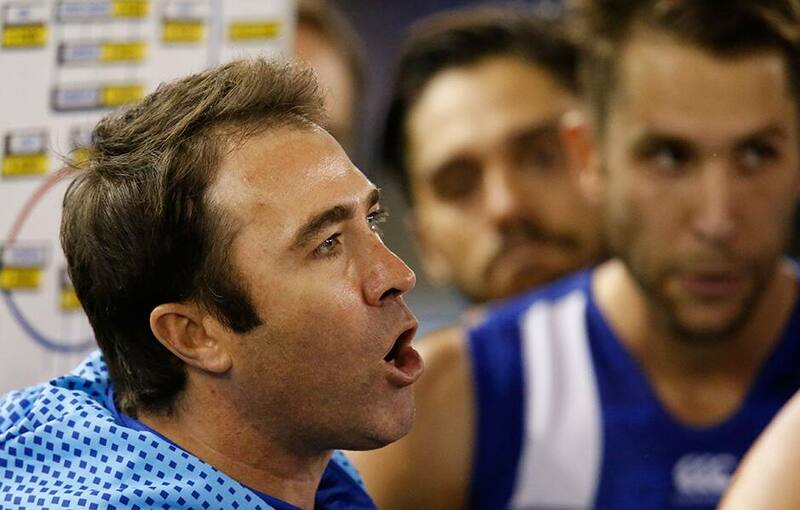 North Melbourne's pressure-releasing victory over Adelaide on Saturday night will help reinforce the style the Kangaroos want to play, coach Brad Scott says. The 12-point win was North's first of the season and came despite it wasting countless chances in front of goal in the opening half. Through those goalkicking woes, the other constant was the Roos' ability to starve the Crows' forwards of opportunities – a defensive effort that ultimately proved match-winning. "We were really pleased with the way we defended full stop tonight," Scott said. "To keep a pretty prolific side like Adelaide to 16 inside 50s in the first half (and 36 for the match) was a good effort, although they were able to score a bit too easily a few times on the back of those. "That's a pretty sustainable style in defence, to play that way, and we've still got some things we'd like to tighten up in terms of defending some transition, but for the most part we did that really well today. "Up the other end, we generated enough shots but couldn't convert a lot of them." Inclusions Jed Anderson, Paul Ahern, Mason Wood and Cameron Zurhaar all made a difference, with the latter combining with Kayne Turner and Tarryn Thomas to lay 15 tackles. A tweak to the way North Melbourne brought the ball inside 50 helped those small forwards make a larger imprint, according to Scott.